This poster is part of a set of great contemporary Latinos. 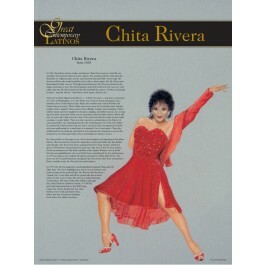 This poster features Chita Rivera, a dancer, singer, and actress, known for her role in the Broadway show "West Side Story." 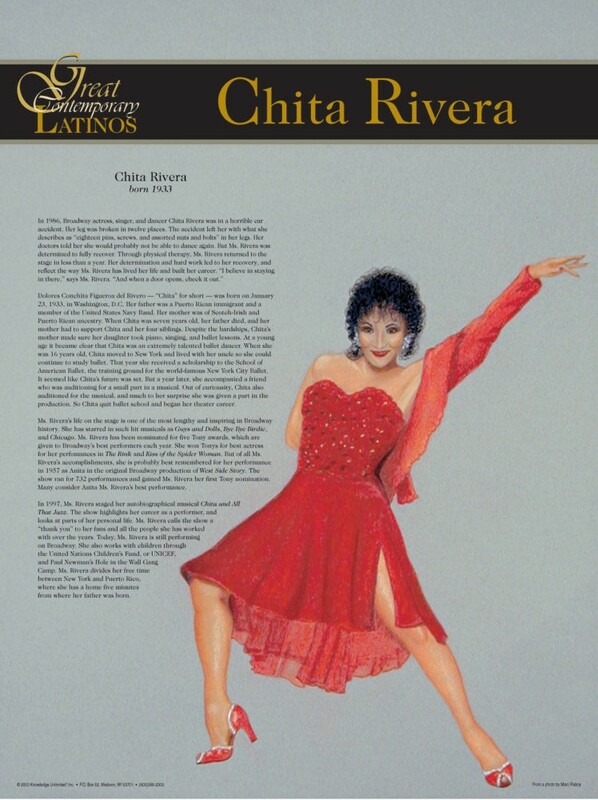 The poster contains an artistic depiction of Ms. Rivera along with biographical text.